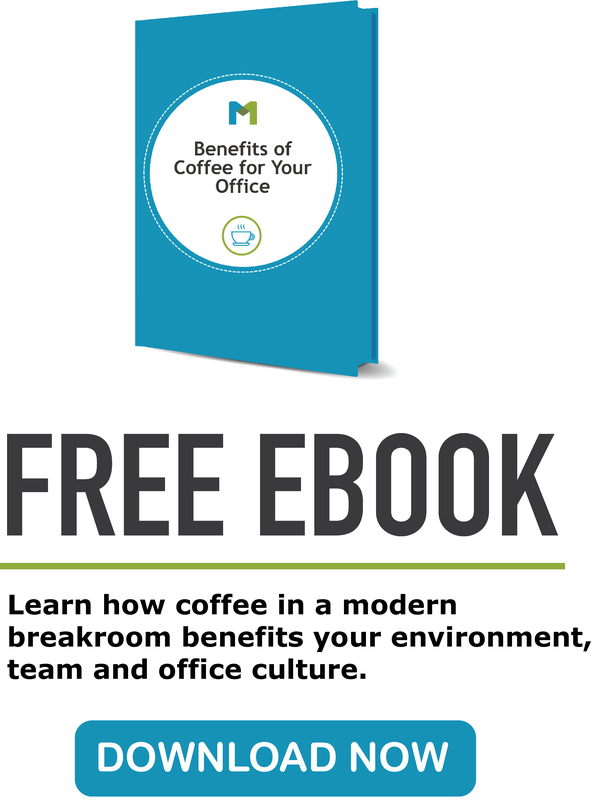 Did you know that about 77 percent of employees in the U.S. have a workplace coffee area? For many employees, coffee has become part of their daily routine. To some, it is the necessary fuel needed to get through the workday. More and more businesses are introducing or improving a coffee area. So employees can easily access coffee throughout the day. It may even give them the boost of energy they need! Drinking caffeine can help employees stay focused and concentrate better. It can also help with that midday slump feeling and give them a boost. Wondering how coffee can do this? Well, the brain has a chemical called adenosine that is in charge of making a person feel sleepy. That tired feeling happens when adenosine builds up in the brain. Since caffeine is a stimulant, coffee blocks this effect and makes a person feel alert. Coffee can help employees stay awake because it increases their brain activity and causes an energy boost. Sure, coffee can’t actually wake people up, but it can stop that drowsy feeling. When people feel better they produce better. Besides being alert, caffeine can help people absorb and keep new information faster. A study found consuming at least 200 milligrams of caffeine (about 2 cups) helps the brain identify information better. Coffee can cause an employee to feel alert, allowing them to pick things up quicker. Another study showed that coffee can have a positive effect on memory. It explained that caffeine can decrease forgetfulness over 24 hours. 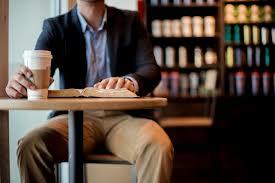 It also found that people who had caffeine after studying, remembered more information. 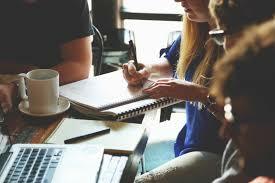 By providing a coffee area, you can give your employees the advantage when it comes to learning new material. It can also help them remember tasks and assignments. 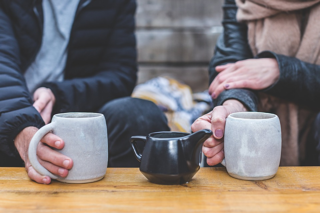 Do your employees take breaks throughout the day to get a quick cup of coffee at the local café? A survey shows that 68% of people drink coffee during the workday. A business can lose valuable work time when employees leave to get a cup of coffee. Of course employees may bring coffee with them from home, but what happens when it’s gone? About 43 percent of people said their preferred drink is coffee because it helps them at work. If there is no area where they can refill up, they can either leave the office to get more or feel that midday slump. 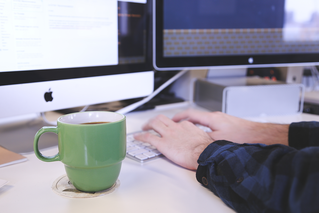 Offering coffee gives employees an incentive to stay and get another fix while in the office. Having a cup of coffee at work can lead to breaking down social barriers. It can help new employees meet co-workers, create a common area in the workplace, and be a good ice-breaker. Statistics reveal that the typical worker has about 4 cups of coffee or tea. This means that employees have chances to interact with each other at work. A coffee break can mean a quick catch up with fellow co-workers. Especially, if they have been stuck at their cubicle or desk all day. Socializing at work and employee connections can lead to creating an open office culture. Having that onsite coffee break can create a positive energy in the office. 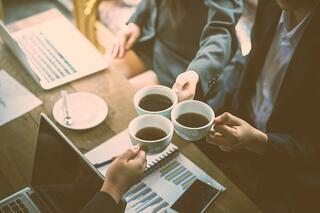 A study found that coffee breaks can create cohesion, where co-workers feel like family. Gathering around the coffee machine can lead to bonding. Here, ideas and conversations can be shared and lead to creativity. Offering a coffee area can show that a business appreciates their employees. Let’s say an employee had a rough start to their day and forgot their coffee at home. Knowing that they can get a great cup of coffee at work can make their day better. Drinking coffee has become a ritual and by offering it, you create something that employees look forward to. Making coffee available can make employees feel excited about the work day. 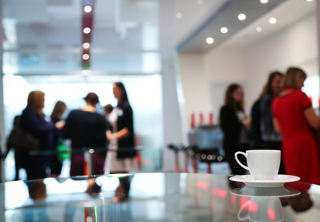 Investing in a coffee area benefits both your business and employees. If you decide to give this office perk a try or improve your current coffee area, you will have some questions to consider. Like, what kind of flavors or types of coffee your employees would like? But don’t worry because we can help with that! Try our Three-Day Coffee Demo and Tasting and find out which coffee your team prefers. Can you think of any more ways a coffee area can benefit an office? Or if you already have one, how has it benefited yours? Please share with us in the comments below. Headquartered in the Mid-Atlantic region, Miller’s supplies the office products and workplace solutions you need to run a productive, well-equipped work environment. From humble beginnings in 1971 to nationwide coverage offered today, we support you with convenient procurement tools, flexible solutions and personalized attention that ensures you’ll feel like our only customer.